As we approached the Marché Maisonneuve, our excitement grew. We love visiting markets, especially when they’re set inside buildings as beautiful as this one. But within seconds of stepping inside, our enthusiasm disappeared. The market which once graced its interior is gone, and the building is now used as a community center. Today, there was an amateur arts and crafts show. As luck would have it, Jürgen and I arrived during what everyone swears is one of the worst Quebec springs in recent memory. For every sunny day, we’ve had six that were rainy and cold. 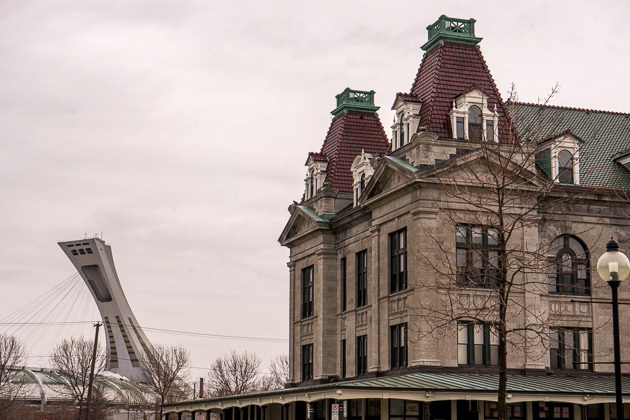 But luckily Montreal has plenty of fun things to do indoors, and we still have a couple months to get outside and experience the city’s famous street life. Here are our first impressions, after one month. Built in 1893 by the Canadian Pacific railway company, the Château Frontenac dominates the skyline of Quebec City. A towering structure with over 600 rooms and an unforgettable profile that reigns over the walls of the Old Town, this is thought to be the world’s most photographed hotel. I wouldn’t doubt it. The Frontenac so large and central that it will be part of the backdrop in nearly every picture you’ll take of Quebec City. Jürgen and I hardly rested during our three days in Quebec City. The weather was great, which allowed us to spend a lot of time outside, walking around the city taking snapshots. With the Château Frontenac reigning over the Old Town like a real-life Disney castle and the twisting cobblestone alleys leading from one quaint shop to the next, Quebec City seems like a theme park specifically designed for photographers. An uncensored celebration of independent theater at its most creative, the St-Ambroise Fringe Festival entertains Montreal with over 800 performances spread across twenty days. We were in town during the festival’s 26th year of existence, and couldn’t resist taking in a show… the only problem was deciding which to see. 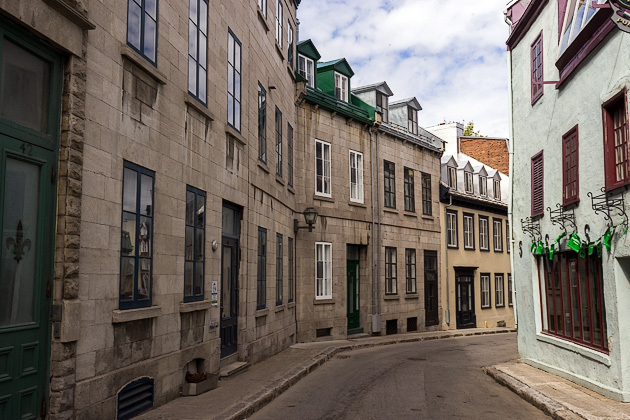 As its name suggests, Vieux Montréal is the oldest section of the city, occupying roughly the location of the original 17th-century settlement of Ville-Marie. 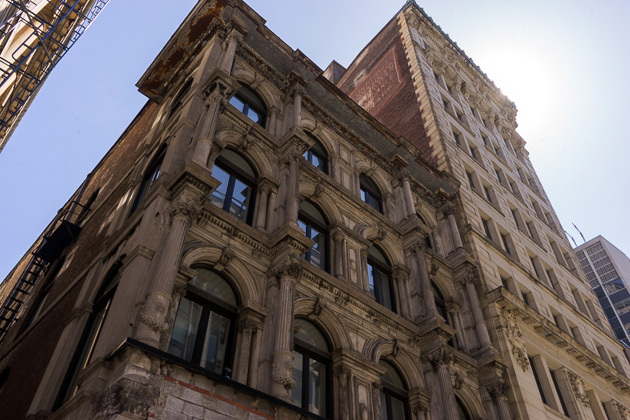 With many of Montreal’s most historic buildings tightly packed in close proximity to one another, it’s a rewarding place to take a self-guided walking tour.